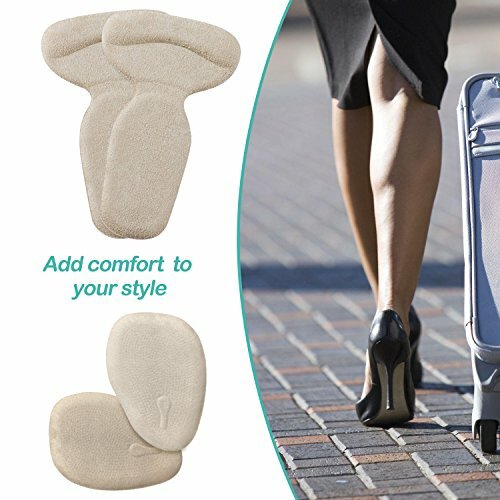 Make sure your shoes are a half size too big if you plan to use these! You may need to take some time to adjust the position until you feel comfortable. Removable and washable. If they lose stickiness, just tear off and rinse them under water , then keep them dry. They can be used again. 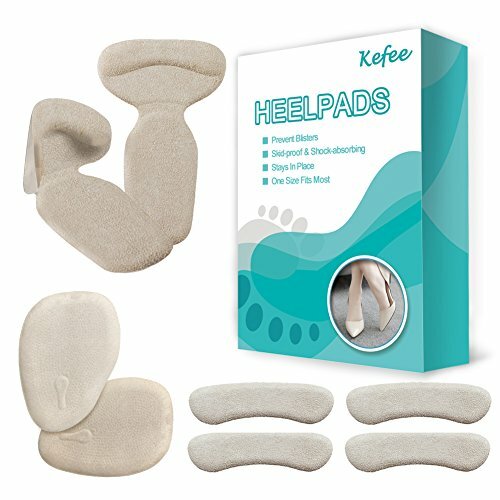 One year refundable guarantee.HEEL PAIN KILLER – Designed for those who have a foot pain. Prevent shoes rubbing your feet, slipping out of shoes, relieve metatarsal pain and plantar fasciitis pain. 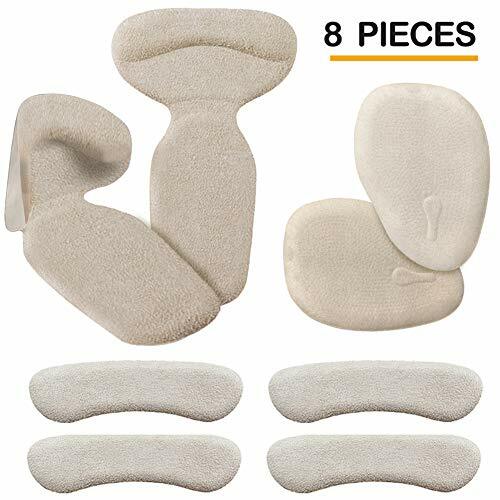 HIGH-QUALITY MATERIAL – Made of soft and safe silica gel, high elasticity and flexibility. 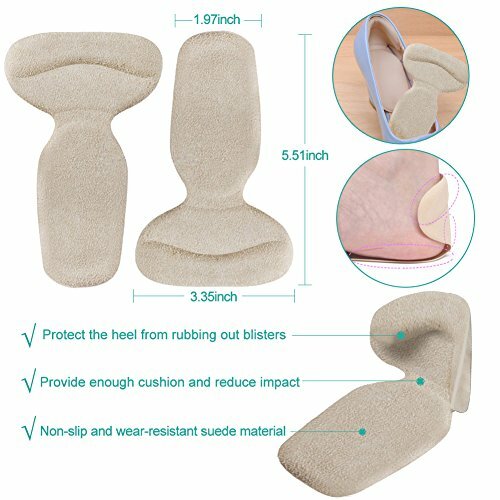 The skin-friendly velvet outer can prevent your feet from contacting with silicone directly. ONE SIZE FITS MOST – Moderate thickness, so it leaves room for your feet. 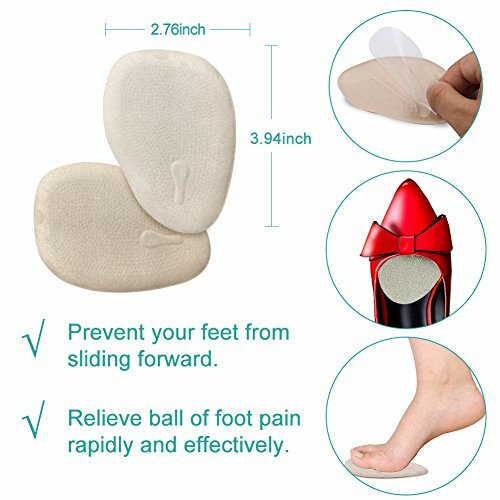 But we still suggest you to use them inside the looser fitting shoes to avoid causing your feet discomfort due to squeezing. REPEATEDLY USE – Washable and reusable. 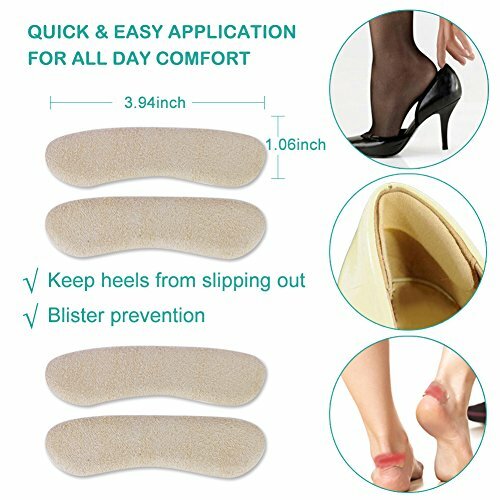 Having a strong self-adhesive that firmly stay in place for lasting comfort. 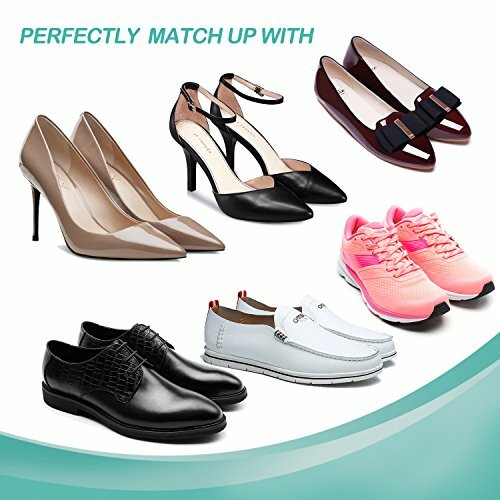 4 PAIRS VALUE PACK – Unisex and can be worn with a variety of shoes including open toe heels and running shoes. Cannon Criss-Cross Espadrille Wedge Sandal – Linen – Size 7 Charleston Shoe Co.